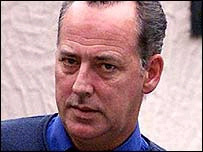 Michael Barrymore is being sued for £100,000 by the family of the man who was found dead in the star's swimming pool. Nobody has ever been charged in connection with the death of Stuart Lubbock, 31, who died three years ago. The writ accuses Mr Barrymore, 52, of failing in his duty of care. Mr Lubbock's father, Terry, said he felt justice had not been done and he was taking legal action to try to find out what had happened to his son. The father of two and factory worker from Harlow was found floating in the pool at Mr Barrymore's luxury home in Roydon, Essex, after a party in March 2001. 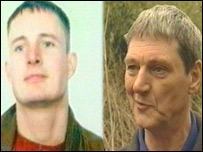 An open verdict was recorded at the inquest, which heard that Mr Lubbock had suffered severe internal injuries. He was pronounced dead two hours after arriving at the Princess Alexandra Hospital in Harlow. The inquest established no definite cause of death. His father said the family had arrived at the £100,000 sum taking into account his son's potential earnings. "That would have been the money that Stuart would have provided for his children out of his wages to help bring them up. It is compensation for Stuart's two girls," he said. He said the family had been unable to move on since his son's death. "I have been unable to draw a line under this. I have got to get justice for Stuart. I owe that to my son. "We have to keep our heads down - keep going, keep fighting." Mr Barrymore was not available for comment.